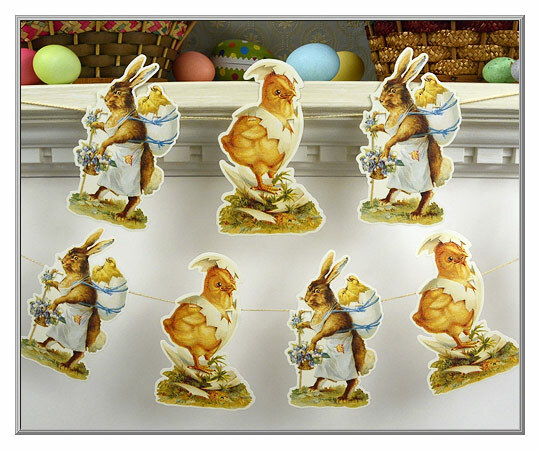 A pretty garland for the Easter season, these rabbits and chicks die-cuts were reproduced from Victorian-era scraps. Made with ten repeated images (five of each design), the embossed cardstock die-cuts can be shifted along the string so that you may space them however you wish. Printed in England. 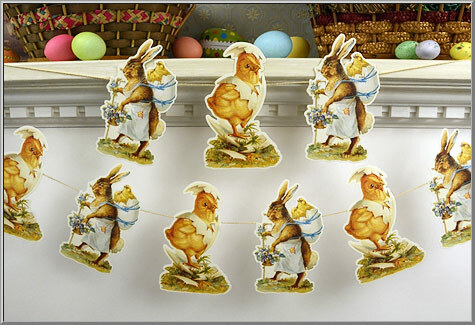 Sold as one Easter garland. are 6¼" high; string is 9½' long.